Get off the beaten path in Buenos Aires by renting an inexpensive bicycle and cruising the cobblestone streets of San Telmo. 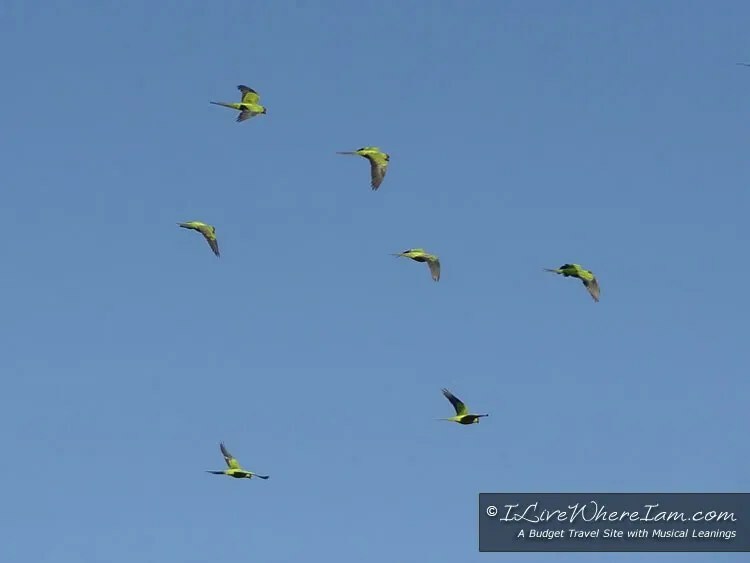 Our final destination is Reserva Ecológica, a nature reserve on the edge of Buenos Aires and the Río de la Plata. As I grasped the handlebars of my newly rented orange bicycle, the sinking afternoon sun cast a warm glow on the stone buildings throughout San Telmo. I pushed off and rambled down the cobblestone streets bobbing up and down along the century old stones. 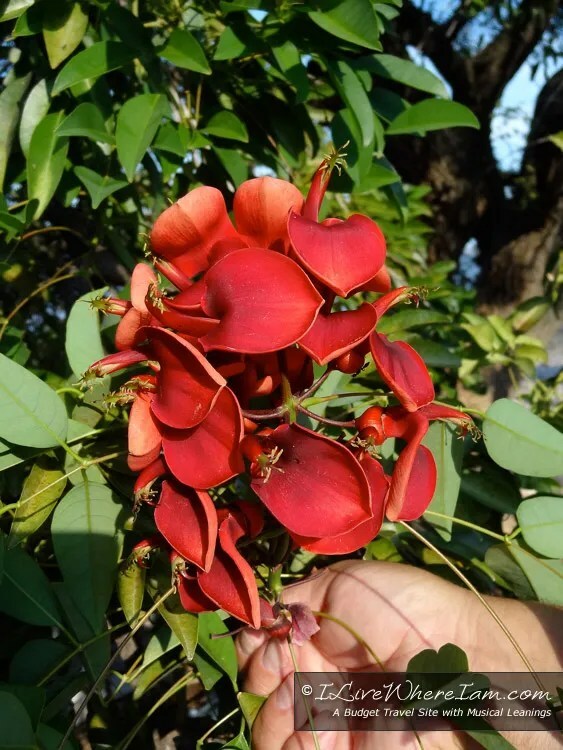 Instantly I was entranced by the magic surrounding me as my bicycle whisked me past two-story buildings crowned with rot iron railings and stone balconies hanging over the narrow streets. 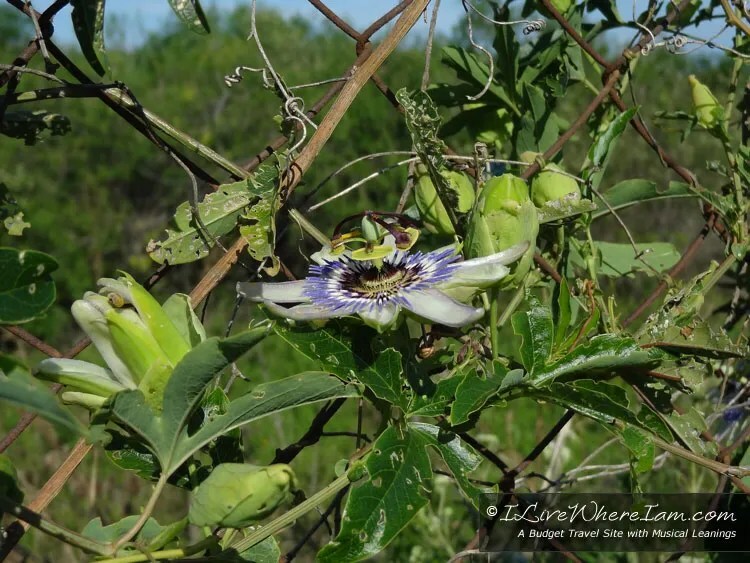 I leisurely made my way through the narrow side streets of San Telmo thinking of my final destination – the nature reserve on the edge of Buenos Aires. In the distance I could hear the late afternoon clamor of cars and buses whizzing along the multi-lane artery that is Avenida Paseo Colón. As I contemplated crossing the teeming thoroughfare on my self-powered, thin two wheels, reality set in changing my mood from one of bliss to sheer survival as I headed towards the avenue. A narrow bike lane marked my path carrying me the 15-minute ride from San Telmo to the Reserva Ecológica on the edge of Buenos Aires at the Río de la Plata. It was only diez cuadras (ten blocks) from the bike rental shop to the reserve, but it might as well have been 10 miles. I could count down the cuadras as I crossed the intersections – each one taking me a little closer to the peace and safety of riding the trails of the reserve. 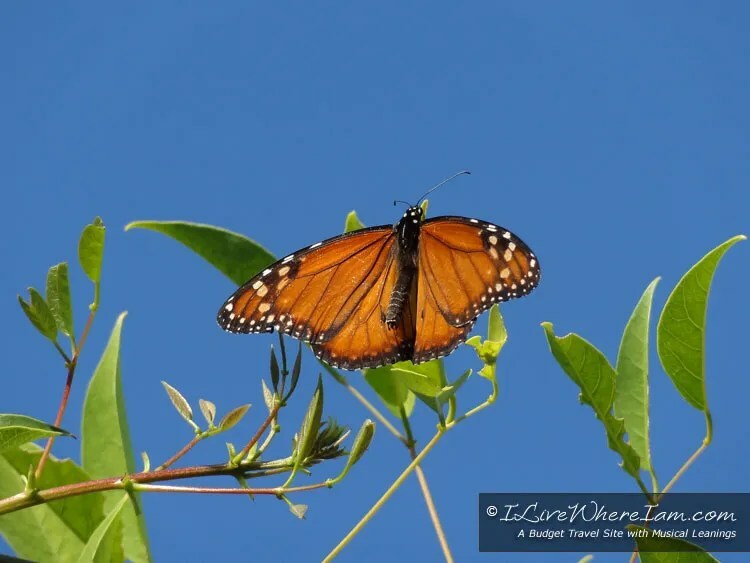 Arriving at the entrance of the reserve, I could finally relax and thoroughly enjoy my orange beach cruiser, complete with basket and bell, comfortably carrying me along the trails of the reserve past wetlands, cattails, butterflies and birds. Reserva Ecológica is a much welcomed natural oasis adjacent to the metropolis of Buenos Aires. 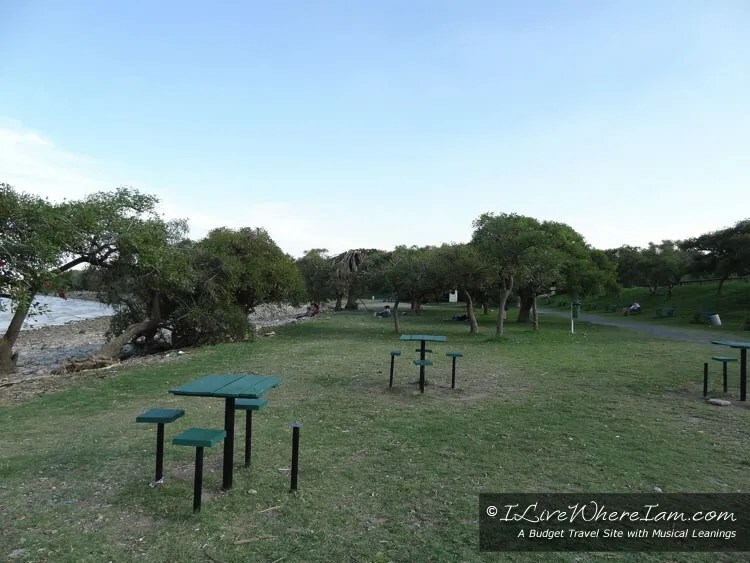 There are four trails that you can walk or bike through the park, most of them connecting to each other and all leading to the Río de la Plata. 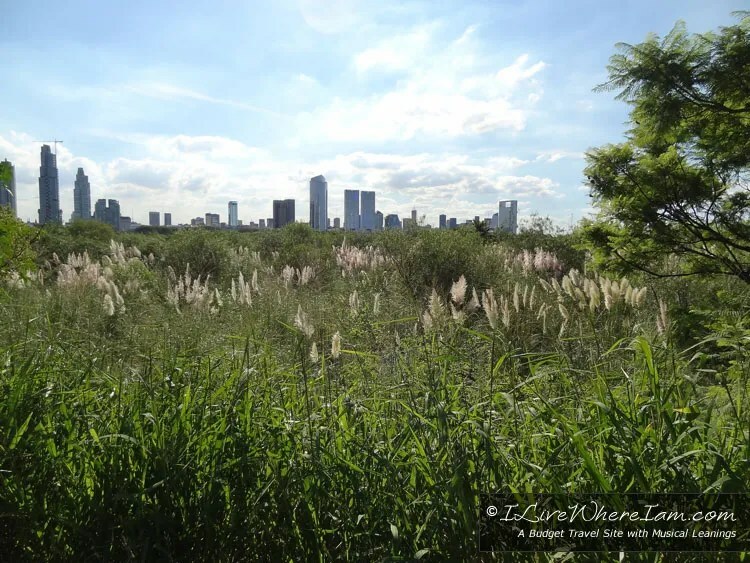 View of the Buenos Aires skyline from Reserva Ecológica. Note: Below is an independent opinion for renting bicycles from “La Bicicleta Naranja” based on the writer’s personal experience. 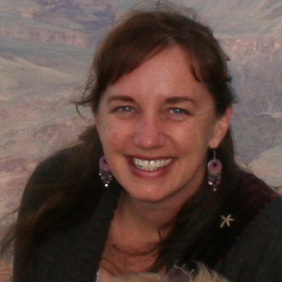 Her own dollars (and a coupon from her hotel) were used to finance the afternoon. No compensation or freebie was given to the writer for this article. 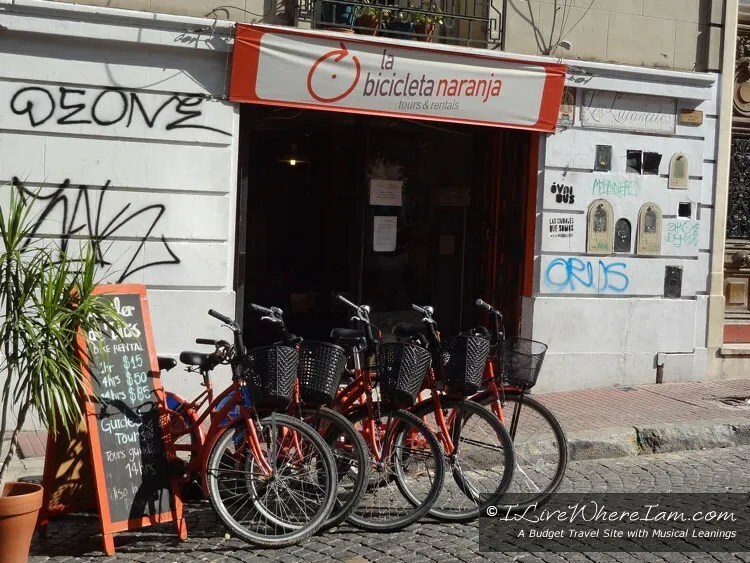 Take your own tour of Buenos Aires by renting a bicycle from La Bicicleta Naranja for just $4.00 USD per hour at one of their two locations in San Telmo and Palermo. Tandem bicycles are also available. 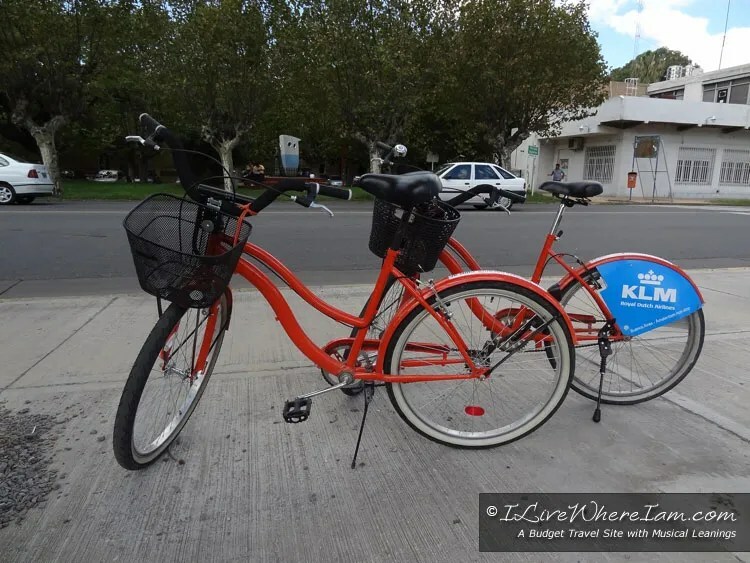 View latest cost for bicycles on La Bicicleta Naranja website. You can also take one of their bicycle tours around the city that last about three to four hours. Tours leave from two locations – San Telmo and Palermo. 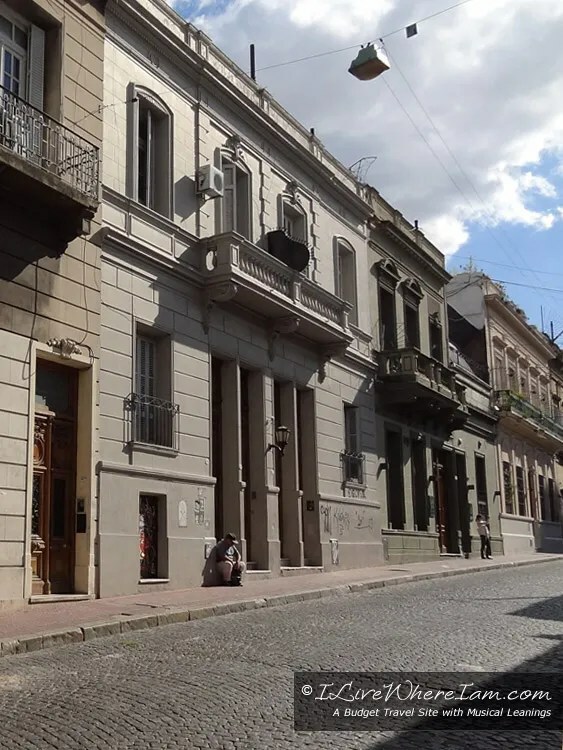 Buenos Aires to the South – $40* USD – Monday – Sunday at 2pm – Includes San Telmo, La Boca including the famous futball stadium “La Bombonera”, Ecological Reserve and Plaza de Mayo. Buenos Aires to the North – $40* USD – Monday – Sunday at 2pm – Includes Puerto Madero, Retiro, San Martín Square, Recoleta and Palermo. * Prices include bikes, helmets, locks, maps and drinks during the trip. Now that you’ve read the article, are you ready to go? Share your thoughts in the comments below! I love that you can rent bikes easily in cities if you want to sight see quicker than walking but more intimate than on a bus tour. It’s great exercise and it’s just a lot of fun! Hi Margyle – very good points, I agree. I had such a great time when we rented bikes in South America. very freeing!